Kinematics CEO Matthias Bürger snaps block after block together. Within 30 seconds, he has formed them into a racecar. He pulls out a remote control app on a tablet and begins directing the car to zoom forward and backward. A remote control car built out of TinkerBots modules. Photo by Signe Brewster. 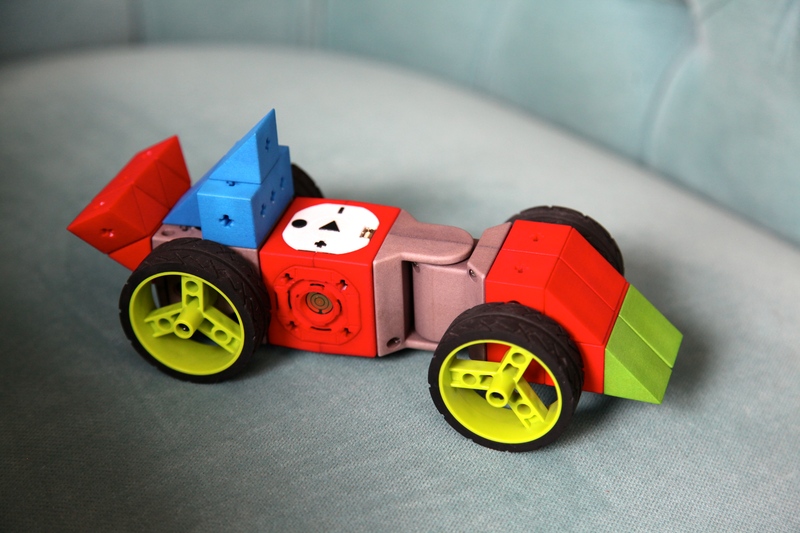 The car is the result of Kinematics’ dream to make a toy that is as easy to use as Legos, but connected. The collection of snap-together TinkerBots modules range from wheels to motors to adapters that let you add on regular Legos. TinkerBots kits are available for the first time today on Indiegogo, where they are selling for $159 to $499. Kinematics CEO Matthias Bürger. Photo by Signe Brewster. 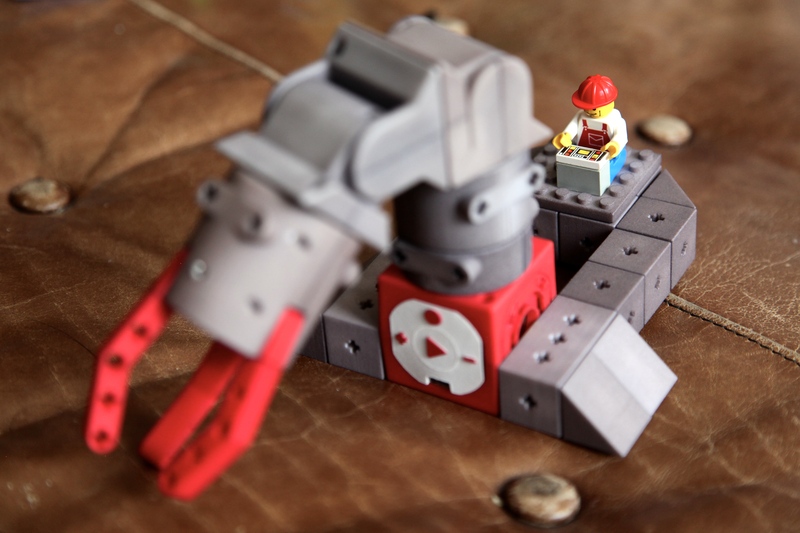 During a demo, Bürger created a little crane for a Lego man, an ant and a dog. Each model relies on a red cube known as a Power Brain that acts as the brain for the toy. It attaches to other modules that bend, twist or just sit still, allowing you to create whatever you want. Bürger said Kinematics is working on rotors to turn TinkerBots into drones, plus sensors that allow them to avoid obstacles or interact with light. At some point, the company is considering adding tiny solar panels that would put children in touch with their energy usage. Kinematics plans to provide a remote control app that is compatible with TinkerBots toys, but you can also directly teach them a motion. If you hit the record button on the Power Brain, move a TinkerBot and then press the play button, it will repeat the motion back to you. It’s a quick and simple way to make a robotic dog walk or ant crawl. Adapter plates make TinkerBots compatible with Legos. Photo by Signe Brewster. If you are interested in programming a robot to do more complex tasks, TinkerBots are also Arduino compatible. 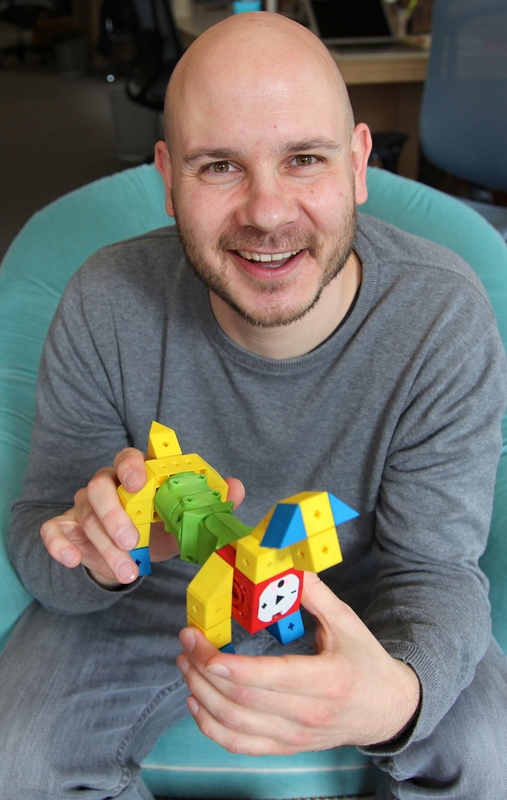 Bürger said Kinematics wanted to make sure TinkerBots are entertaining to both children and adults, and grow with a child as they grow more experienced with robots. This is genius!!. Can’t wait to get some of these.